Becoming a private investigator, or more importantly, a licensed private investigator, opens a ton of opportunities for employment or starting your own business. Cream rises so your drive to be the best you can be will lead you to top opportunities. As in most fields of work, knowledge is king. Being recognized as being very good at what you do, obviously leads to improved opportunities with corresponding growth in earnings. There are so many different investigative areas where you can apply your skills; you really have a wide choice from which to choose. I'll identify those and the key elements leading to your success. Finding employment or obtaining contracts with clients, if you’re self-employed, absolutely requires the completion of a private investigation course/program of study. Without this ingredient your credibility is very limited. Getting hired by an employer or by a client depends on their perception of your private investigation training and skill level, as applied to the job they want you to do. Here is a recommended road to achieve this credibility. These two well-documented and recognized ebooks are very inexpensive (less than $20) and written by knowledgeable authors in the investigative field. Making this minimal investment in yourself will determine if this profession is right for you. Plus, when you enroll in a professionally recognized private investigation course of study, you’ll have a solid background when starting. Here is a listing of 25 online and offline study programs given by accredited institutions. Completing one of these programs gives you the credibility you will need for achievement. Just to complete the two training steps identified immediately above is not the only requirement for success. 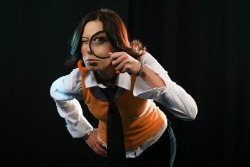 Nearly every State in the U.S. requires a private detective or investigator to be licensed by them. Different tests are given to those would-be investigators depending upon whether they want to be armed or unarmed. Both women and men may be investigators/detectives. When you complete your course work to become a private investigator, please check the requirements of your particular state to become licensed. If your objective is to work for an employer like an insurance company, then the gateway to entry is receiving a certificate of completion/certification from an academic institution. Without this background it will be difficult to get your resume noticed. 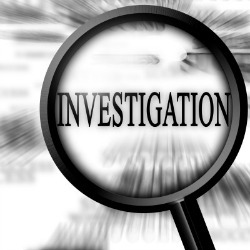 If you want to start a private investigation firm, then there is no substitute for knowledge and experience. Any brochure you design will need to show prospective clients the benefits your skills and accomplishments will bring to them. To become a private investigator and to do well in growing your business, it is all about contacts, contacts and more contacts. Entry-level positions at employers pay in the range of $35,000 a year. With experience and promotions it is not unlikely earning will reach $75,000 and more. If you become a private investigator and work for yourself, you generally bill by the hour with an estimate of the number of hours you expect to devote to the case. Starting out, you might charge $25 or $30 per hour. With experience and letters of recommendation you fee will climb to $55, $75 or more. This level of earnings is a major reason entrepreneurs start an investigation firm. In addition you may contract with other investigators to perform the work for you while billing your client for their services. You will be amazed at the different kinds of investigating tools available and their sophistication. Each of these resources is specific to the job you need to fulfill. Can you imagine all the stuff you'll find out? Thank you for visiting Become a Private Investigator.